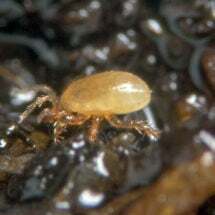 Adults and nymphs of this soil-dwelling mite feed on fungus gnat larvae, thrips, springtails and many other pests. 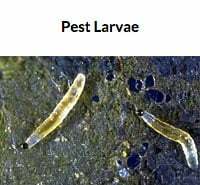 Adult predators actively search for fungus gnat larvae and other harmful soil pests. 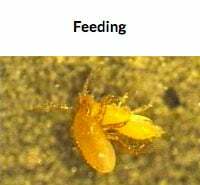 Root-feeding fungus gnats can be especially damaging to plant seedlings, inhibiting growth and transmitting disease. 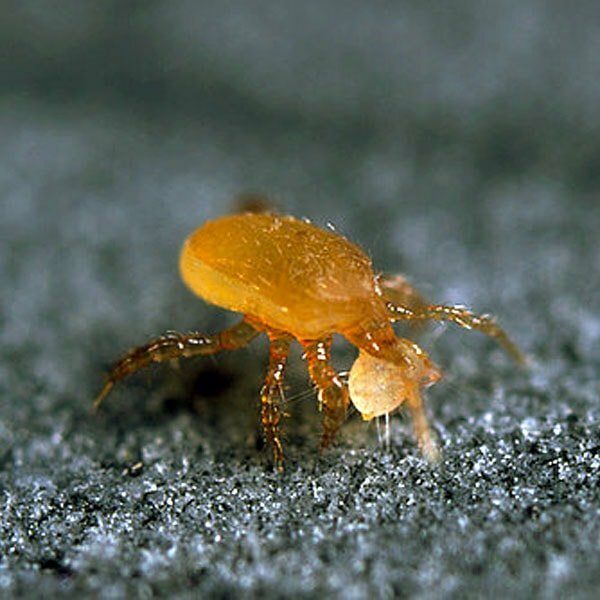 The fungus gnat killer, Stratiolaelaps scimitus (formerly Hypoaspis miles), is a tiny, brown soil mite that feeds on fungus gnat larvae as well as thrips, springtails and other soil-borne larvae. The adult predator, with its long legs and finely-haired back, punctures the damaging pest larvae and feeds on what’s inside. Tiny and hard-to-spot, S. scimitus inhabits the top layer of soils and prefers moist conditions. 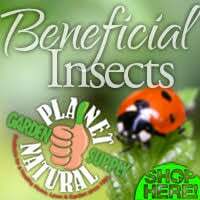 Shop our large selection of biological controls, including fungus gnat predators, at Planet Natural. 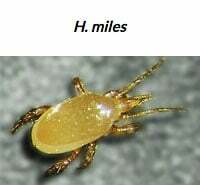 One bottle — 25,000 predatory mites — treats up to 5,000 square feet and costs $73.50 with FedEx Overnight shipping included! Spread the material evenly over soil or rockwool blocks. Do not apply in pothole near the plant stem. Note: Slow but steady reduction of the pest infestation level will take place.